Revbar Hadir, 15, with Iraqi helmet. : Portraits: Peter Tobia, photographer, photojournalist. 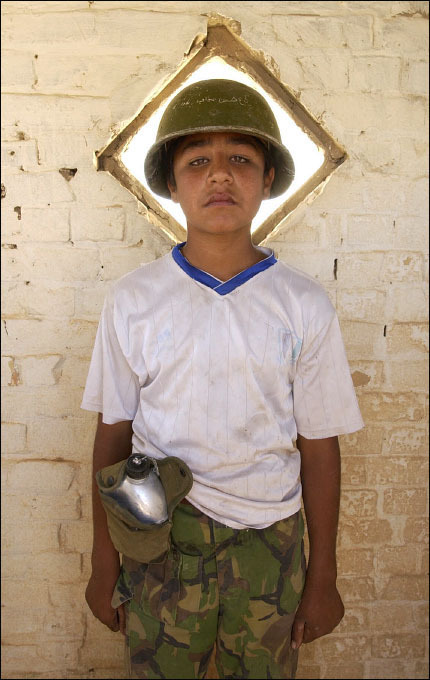 Portraits: Revbar Hadir, 15, with Iraqi helmet.